Magnetic carriers for tools and knives can be used in any place where it necessary to have them to hand, or stored but visible. Typical applications are in workshops and factories, as they are a practical and simple method of storing in a reduced space, all types of tools which are normally used frequently. These systems are ideal for use on any metal surface environment, since they constitute, in themselves, a means of convenient and secure fastening. 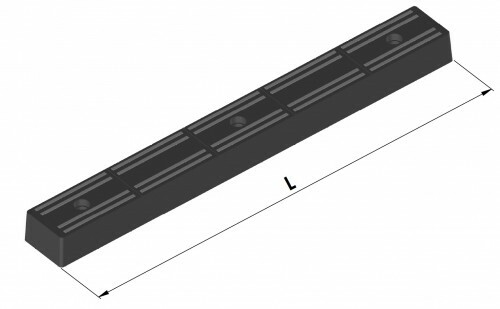 BLPA Ceiling magnets are provided with a tilting system that allows a better grip on any metal roof. Finished in black or white. On request, can be supplied in any size and color. Consult with business.